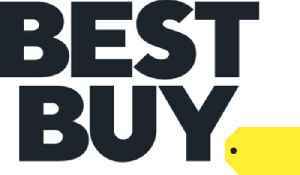 Best Buy Co., Inc. is an American multinational consumer electronics retailer headquartered in Richfield, Minnesota. It was originally founded by Richard M. Schulze and James Wheeler in 1966 as an audio specialty store called Sound of Music. In 1983, it was rebranded under its current name with more emphasis placed on consumer electronics. The company said that it has made this move to "provide leadership continuity as the company continues to execute its strategic growth initiatives."